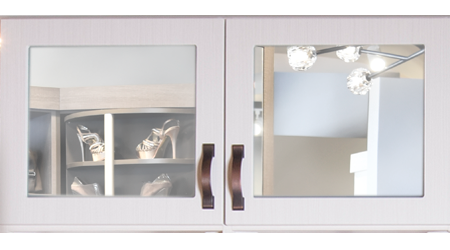 Plus Closets offers 27 door/drawer profile choices. 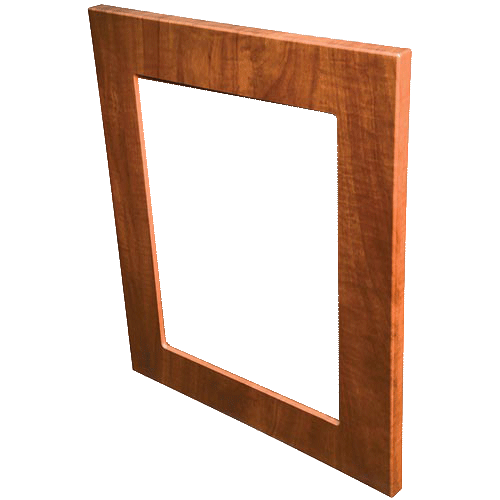 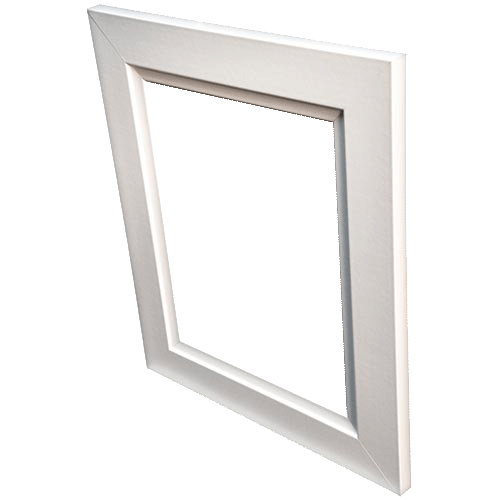 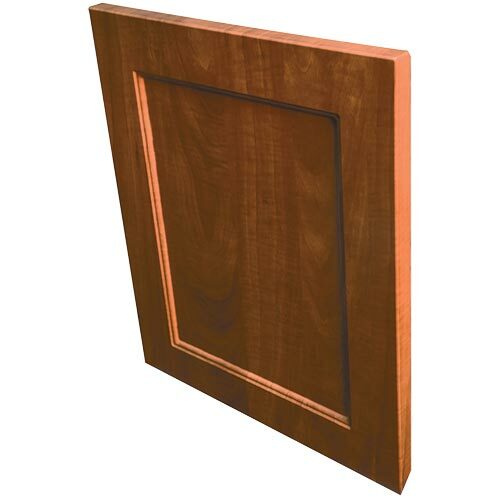 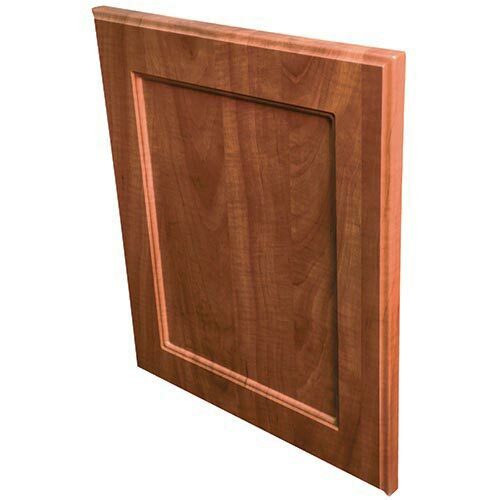 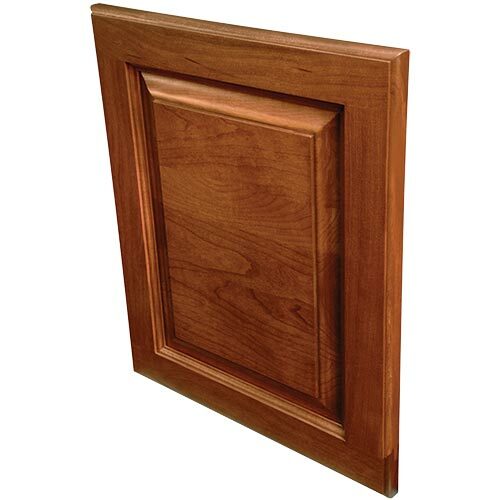 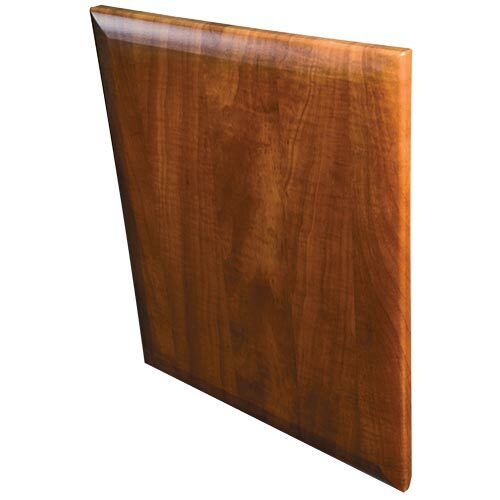 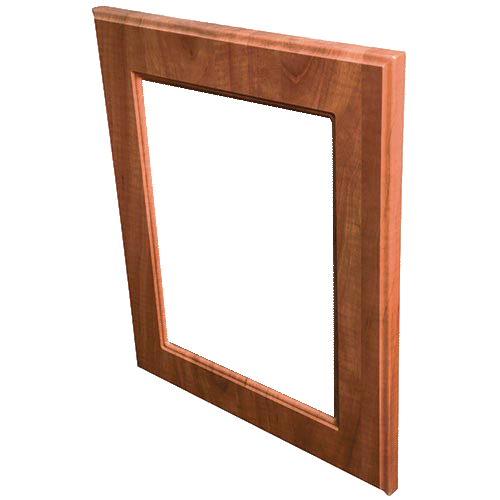 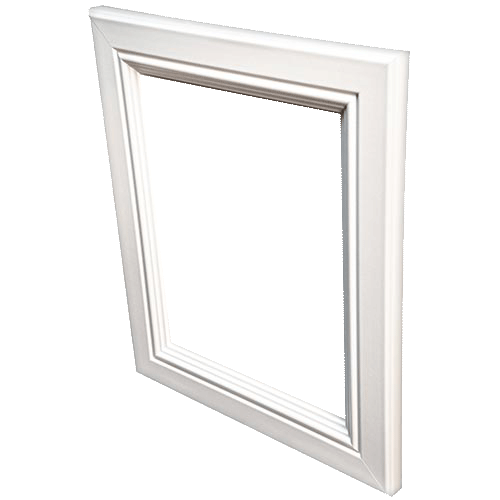 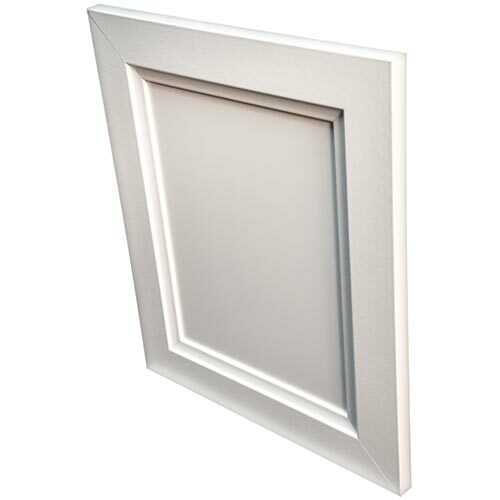 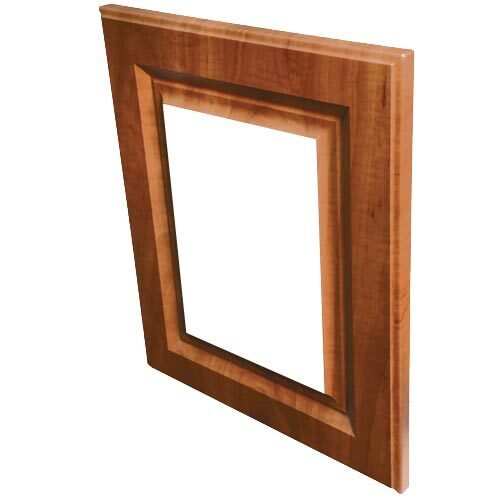 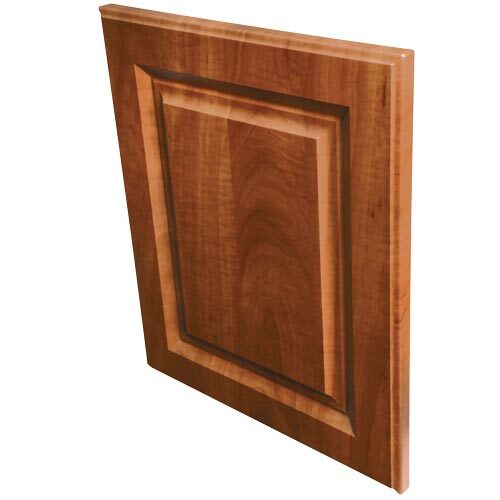 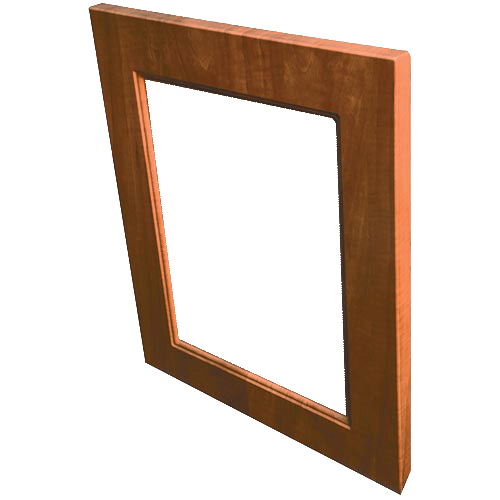 Please click on the door images for details including minimum and maximum sizes, color choices, profiles and a larger sample. 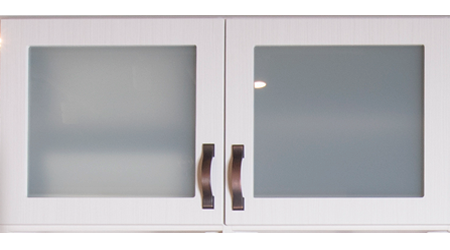 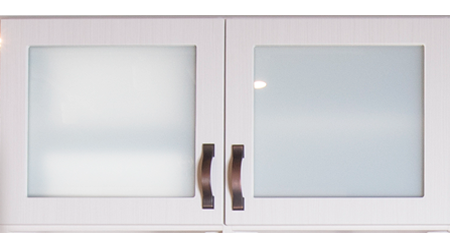 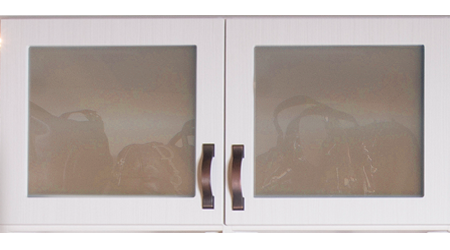 * Five piece Tuscany, Villa and Bella drawer faces are available in 7", 10" and 12" sizes only. 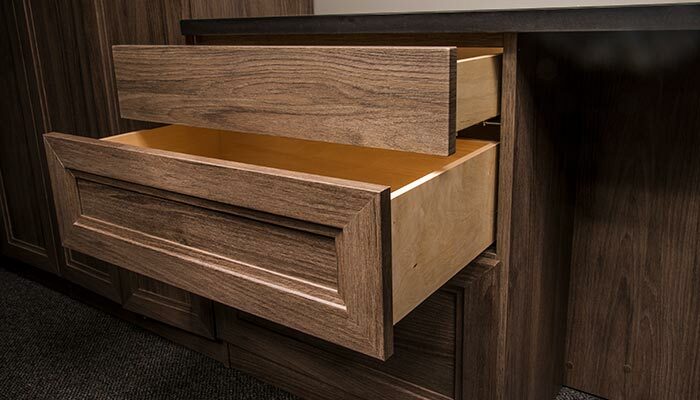 Use standard slab/flat panel in same color and material for 5" drawers — or use a 7" face to get the five piece look on a 5" drawer. 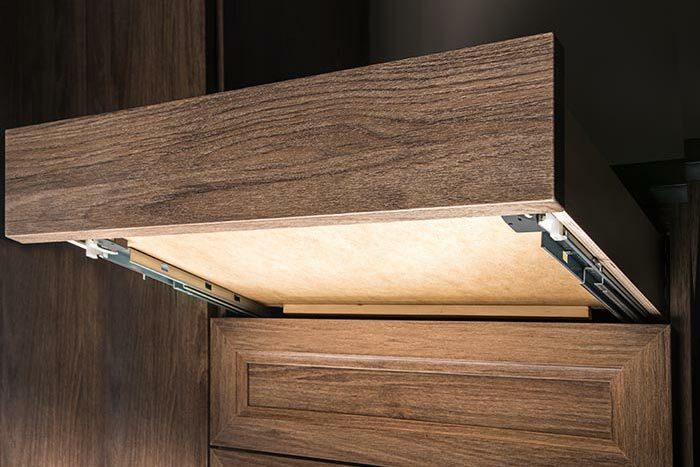 Doors and drawers are not available open face in the 5" size. 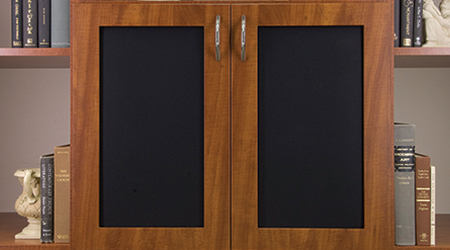 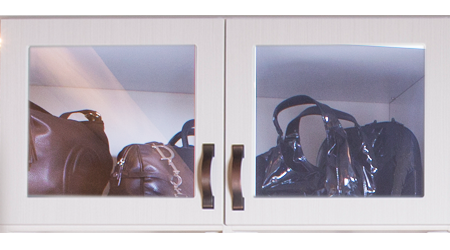 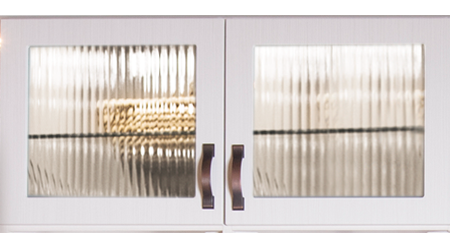 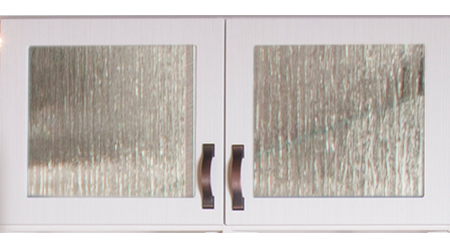 Plus Closets offers eight door/drawer panel insert choices. 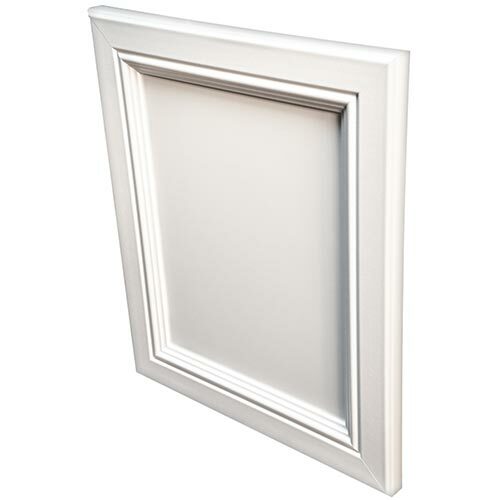 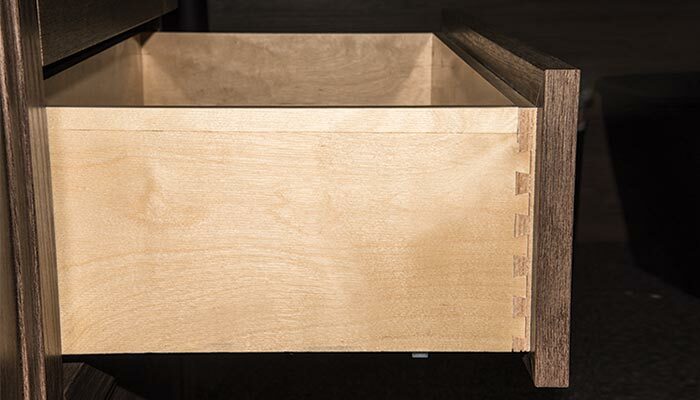 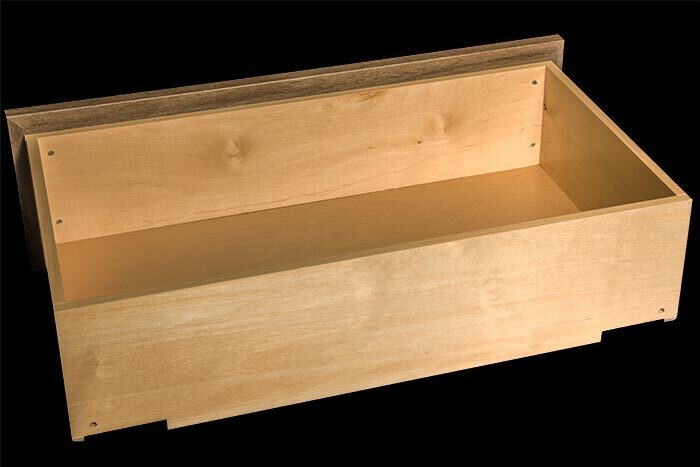 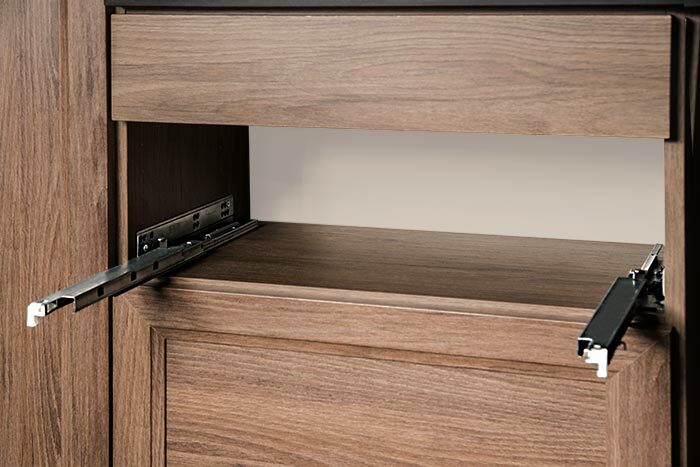 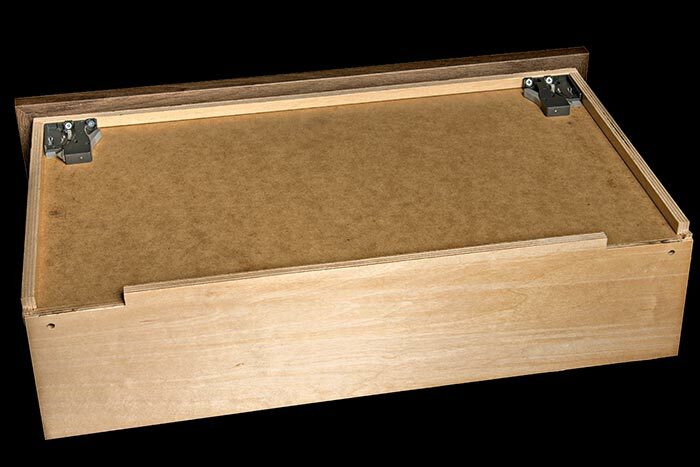 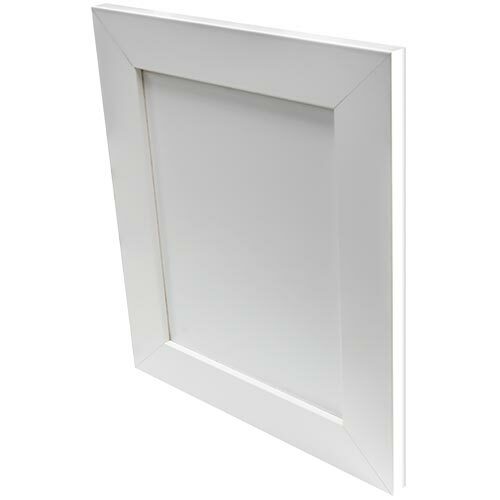 At Plus Closets, wooden undermount drawer boxes with soft close are standard.